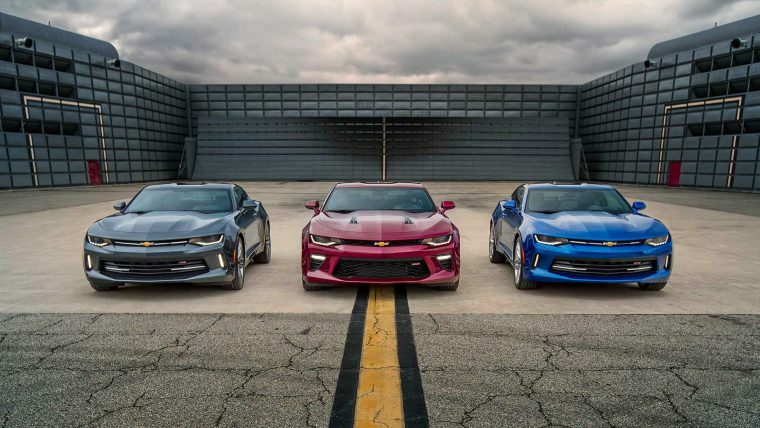 Since the all-new model launched last year, the Chevrolet Camaro feels more like a two-door luxury coupe than a traditional muscle car—and for the better. If you’re a die-hard enthusiast for American muscle, don’t worry; there’s still plenty of it left, with a lot of power under the hood and an even greater amount of attitude in the proportions; but more than that, the 2017 Chevrolet Camaro takes the previously accepted truth that muscle cars are too heavy and too sluggish through corners and doesn’t just turn it to fiction–it obliterates it. 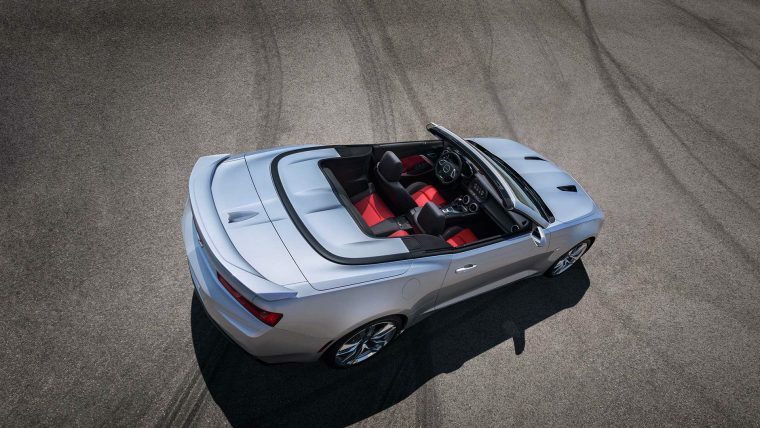 The 2017 Chevrolet Camaro is available as a coupe or convertible in four trim levels: 1LT, 2LT, 1SS, and 2SS. What’s New for the 2017 Chevrolet Camaro? 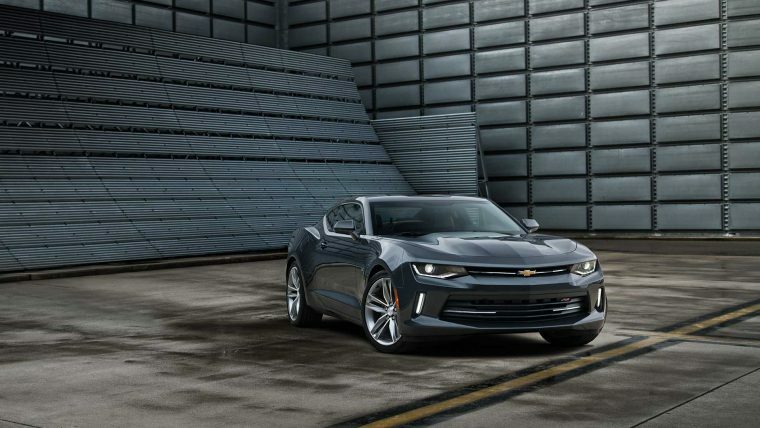 Because the Chevrolet Camaro was completely redesigned for the 2016 model year, the 2017 version doesn’t offer a whole lot more. 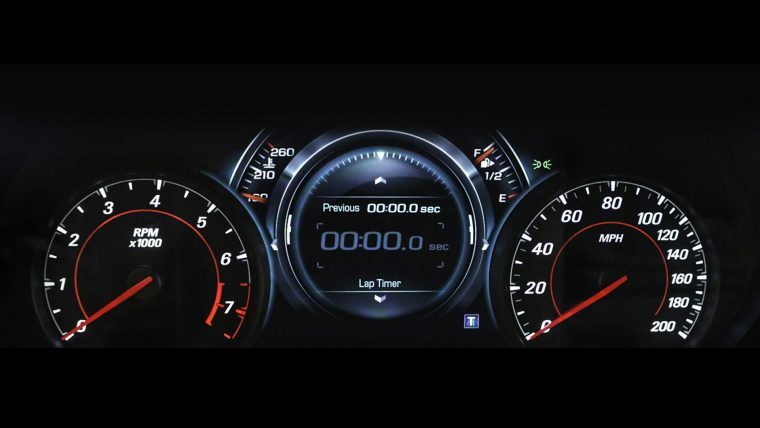 The main new feature is the Teen Driver mode designed to let parents set specific driving parameters for their teens. There’s also a new 50th Anniversary Edition package available for the 2LT and 2SS, and ZL1 and 1LE performance packages that will arrive later this year. The 2017 Chevrolet Camaro looks like a cross between the classic 1969 model and the last-generation model. On the one hand it’s crisp, clean, and modern; on the other, it’s snarling, stalking, and pouncing. The fenders are aggressively wide, the roof slung low, and the headlights impossibly thin—all giving the impression that, if you were to see one in your rearview mirror, you were being hunted. Nonetheless, while the design is sure to appeal to the inner child within you, your practical self might wish to see more out of the narrow rear windows (though who buys a Camaro for the practicality?). The standard engine for the 2017 Chevrolet Camaro 1LT and 2LT is a turbocharged 2.0-liter four-cylinder that makes 275 horsepower and 295 lb-ft of torque. Also optional on those trims is a 3.6-liter V6 that produces 335 horsepower and 284 lb-ft of torque. If you upgrade to the 1SS or 2SS, the standard engine becomes a hefty 6.2-liter V8 that cranks out 455 horsepower and 455 lb-ft of torque. 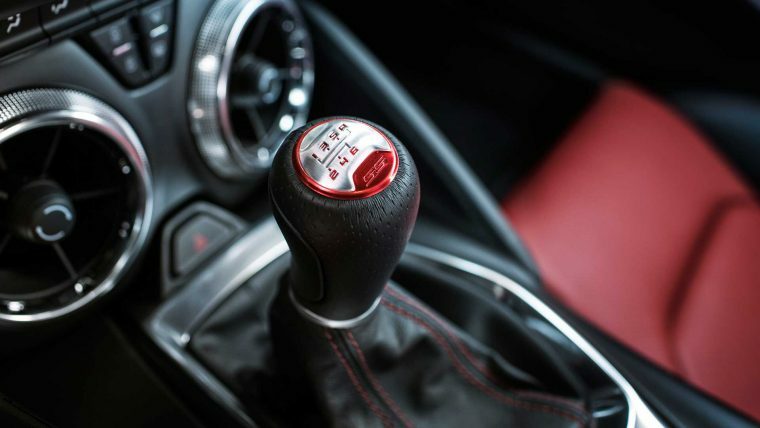 A six-speed manual transmission is standard on every trim while an eight-speed automatic with paddle shifters mounted on the steering wheel is available. If you like performance driving, you’ll be pleased to find that the SS manual models come with automatic rev-matching for smoother downshifts. 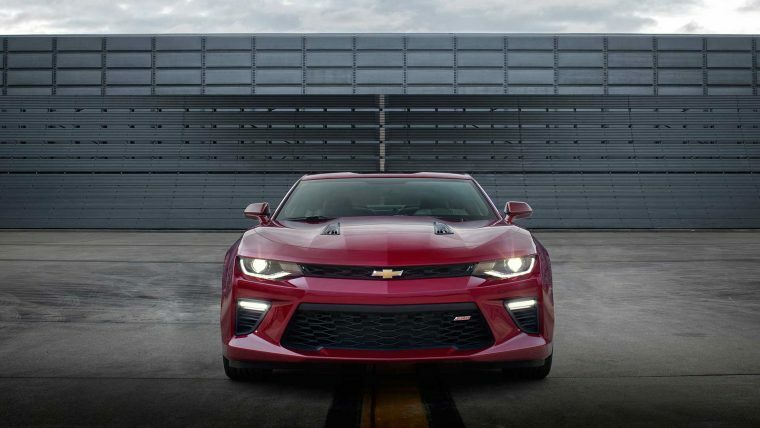 Depending on the configuration, the 2017 Chevrolet Camaro can do zero to 60 mph between 4.2 and 5.4 seconds, each time beating Mustangs and Challengers of equivalent equipment. The 2017 Chevrolet Camaro gets an EPA-estimated 20/30/23 mpg (city/highway/combined) with the standard manual four-cylinder and 22/31/25 mpg with the automatic four. The manual and automatic V6 get 16/26/20 mpg and 19/28/22 mpg, respectively, and the manual and automatic V6 get 16/25/19 mpg and 17/27/20 mpg, respectively. As expected, if you want better fuel economy, you’ll have to either downsize the engine or go for the automatic transmission–or both. The 2017 Chevrolet Camaro is surprisingly comfy for what’s supposed to be a raw, ragged-edge sports car. The dash is pleasantly uncluttered, the materials are nice to the touch, and the design is attractive. As one might expect, there’s noticeable emphasis on the driver; the sporty seats are both comfortable and provide good support for hard cornering, and the gauges behind the wheel are big and easy to read. There’s even Apple CarPlay and Android Auto support—no need to bother with the infotainment system, just plug in your phone and drive. Every 2017 Chevrolet Camaro comes standard with antilock disc brakes, traction control, stability control, a rearview camera, and Daytime Running Lights. The OnStar telematics system is also standard, which includes on-demand roadside assistance, automatic crash notification, stolen vehicle assistance, turn-by-turn navigation, and remote door unlocking. Additional packages can add active safety features like blind spot monitoring and lane departure warning. This model has yet to be tested, but the 2016 model received the highest possible rating of “Good” in all of the Insurance Institute for Highway Safety’s crashworthiness evaluations, including small overlap front, moderate overlap front, side, and head restraints and seats. The only exception was the roof strength category, in which the Camaro was rated “Acceptable.” There’s little reason to believe the 2017 Chevrolet Camaro’s safety ratings will be any different.